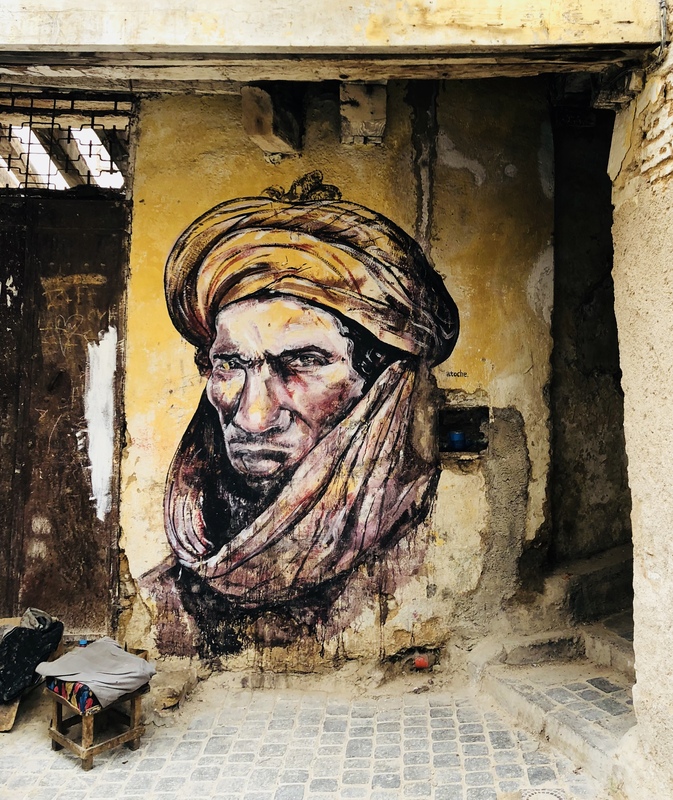 Fes, one of the four royal cities in Morocco, is famous for its rich culture and history. The old medina is like the sacred labyrinth of the moors. 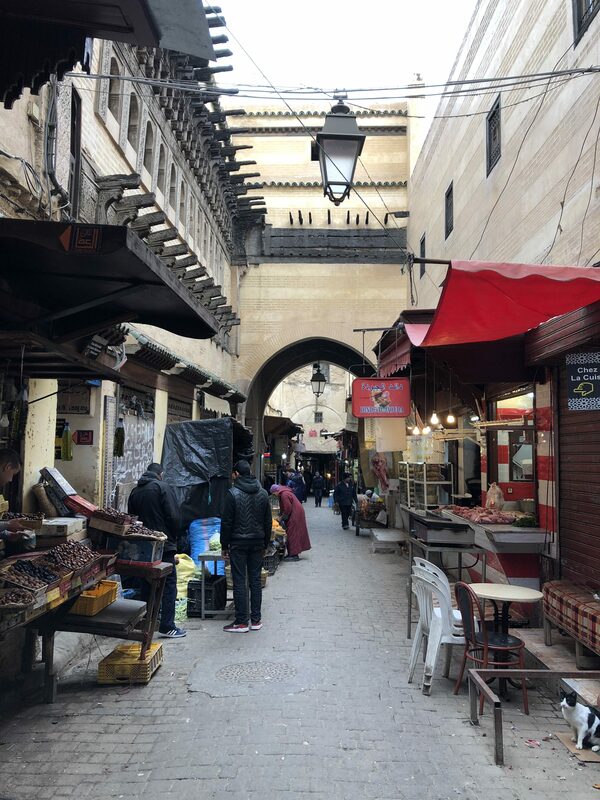 Hundreds of uneven narrow lanes turn and terminate capriciously, and thousands of short old houses have managed to squeeze themselves inside this royal city for over a thousand years. The tiny streets are so narrow that when a horse passes by, everybody needs to stand by to let them pass. Sometimes the lanes are ensconced in darkness — even during the day, keeping you alert. 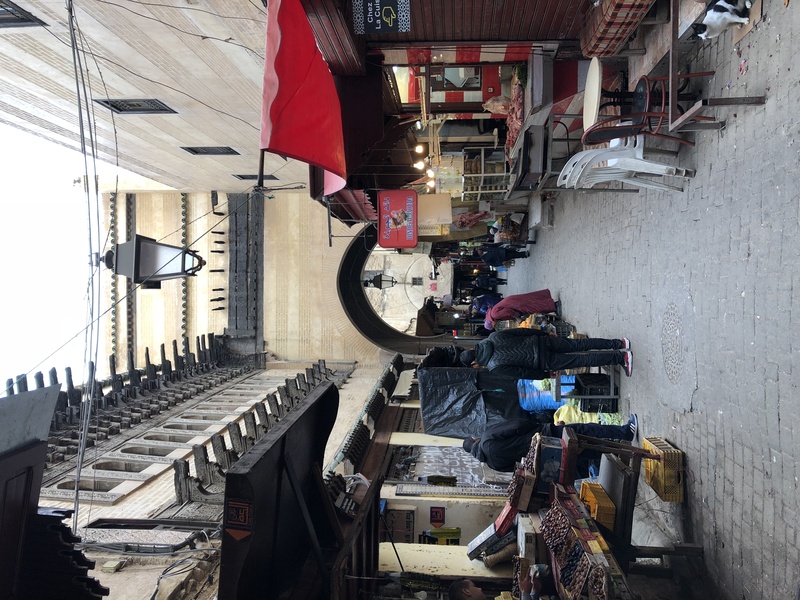 Less than 10 minutes after stepping into the medina, I found myself lost completely, and realized that English and Google Maps were not that useful. 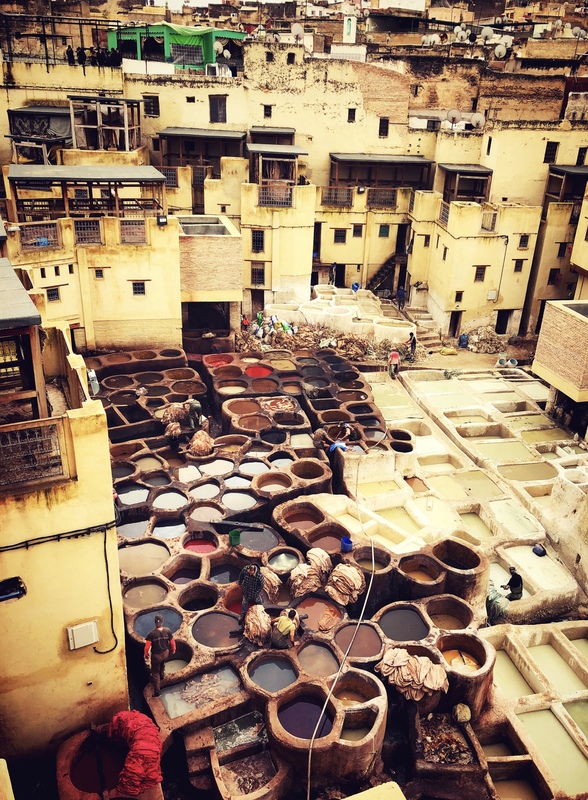 The most famous scene of Fes is, of course, the colorful view of the dye pits from the rooftop at the expense of a very bad sulfur smell. This is where whole pieces of skin are stripped off the animals and processed into genuine leather. Luckily, the smell was not as strong during winter, but, still, it was not a pleasant scene to see up close. It is hard to imagine the factory workers submerging themselves in the dying barrels for hours each day. Fes might be a sacred place for many, but I think I will avoid a second visit. Italy remains a favorite spot for my family to enjoy vacations. 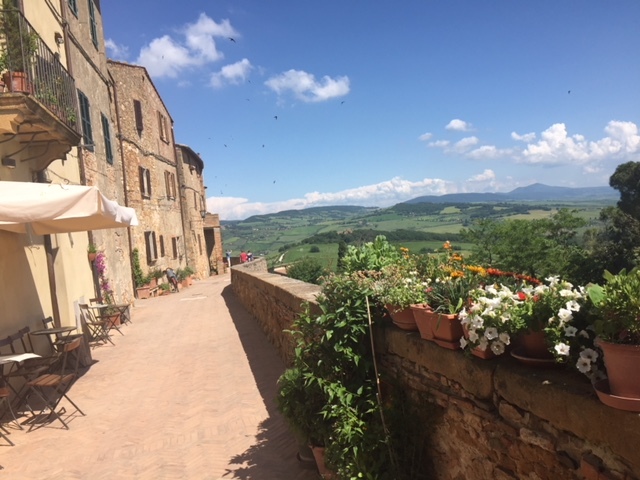 In May, we spent several days sightseeing in Florence and took a fabulous day trip for wine and cheese tasting, which included stops around Tuscany in Pienza, Montepulciano, and Montalcino. 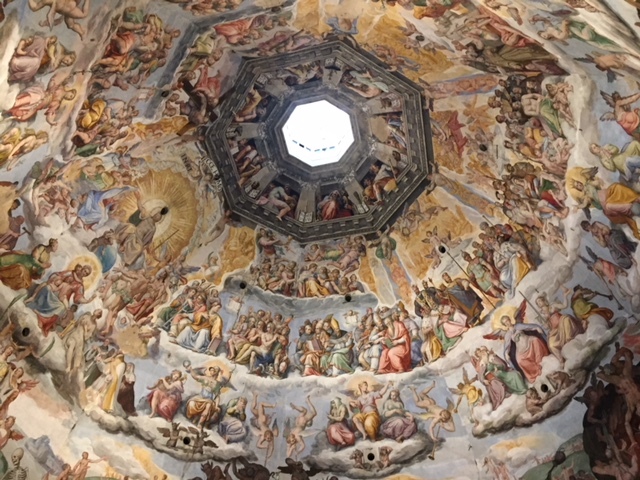 As one climbs inner, narrow stairways to the roof of the Florence Cathedral (Il Duomo di Firenze), there are areas where one can emerge to view the cathedral from catwalks high above, including the fantastic sight of the upper painted interior under the dome. The Duomo, a majestic wonder of both architecture and engineering, was completed in 1436 from designs by Filippo Brunelleschi, and features paintings of the “Last Judgement” done by Giorgio Vasari, Federico Zuccari and their collaborators in the mid- to late-16th century. 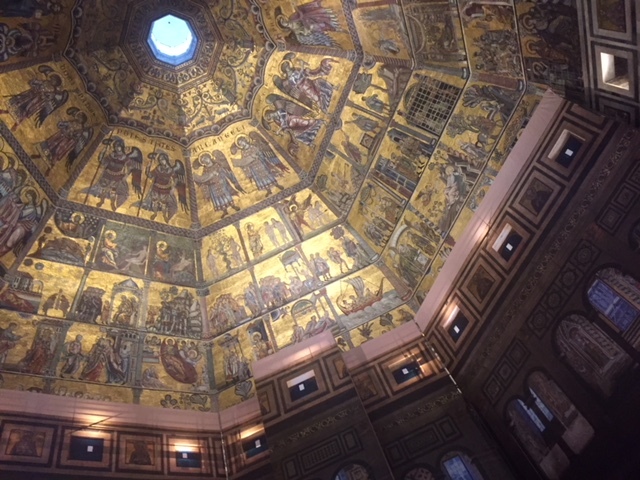 The interior dome of the Florence Baptistery of Saint John is covered with spectacular mosaics. The octagonal building was constructed between 1059 and 1128 with the mosaics added over a century starting in the year 1225. The building’s famous “Gates of Paradise”, sculpted by Lorenzo Ghiberti in the early 1400s, have been restored and are now housed in the nearby Museo dell’Opera del Duomo. Pienza is a beautiful small city in Tuscany near Siena. The 15th century Pope Pius II had the town rebuilt as an ideal Renaissance village, working with the Florentine architect Bernardo Rosselino. The views of the surrounding countryside are heavenly.